Tess, unfulfilled by her retail clothing job, chased her passion and enrolled in medical aesthetics training three years ago at National Laser Institute after a friend recommended the course. Before attending National Laser Institute, Tess didn’t have any experience in esthetics or skin care. So, you can imagine her feeling a little scared or nervous (OK, maybe terrified) to fire a cosmetic laser for the first time — but that all changed once she started class! Tess raves about the warm welcome she received from the instructors and staff from the moment she stepped into the classroom. She loves how she felt like she was a part of a family unit; Everyone was there because they wanted to learn about something they had a passion for! 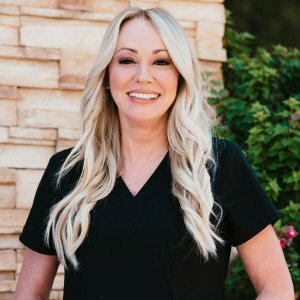 Two months after graduation, Tess began working at a medical spa in Scottsdale, AZ, where she currently specializes in the popular fat-freezing treatment CoolSculpting! Tess treats clients every day who want to look and feel better about themselves. She believes the insecurities someone deals with internally can significantly affect the way they perceive themselves on the outside. It’s incredible to be able to make someone else feel better about themselves. The advice she would give to someone considering a career change is not to fear the unknown. If you have a passion for health, beauty and helping others build their self-esteem, you are going to love the medical aesthetics field. You won’t regret it! If you would like to learn more about medical aesthetics training, fill out the form on your right or call 1-800-982-6817.